This week on Guest Blog Wednesdays we have author, Feather Stone and her interview with Omnific Publishing. Paranormal fiction author Feather Stone is proud to have Omnific Publishing offering her novel, The Guardian’s Wildchild, debuting on September, 27, 2011. Feather has written an intricate and magical, paranormal adventure that will draw readers into a futuristic world full of danger and intrigue. She has agreed to share a little bit about her writing process and her novel with us. Omnific: What is your writing process like? How long does it take you to write a book and where does it fit in your schedule? Once I start writing a story, I become a virtual slave to the process – and love it. It becomes an endeavor of passion that becomes an integral part of my day, everyday. If I am not working at the computer creating more chapters, I am constantly thinking about scenarios, dialogue, or doing research. It took me five years to write the first draft of the Guardian’s Wildchild. Then I went back to page one and rewrote the entire story. The story went through several more rewrites over the next three years. I reduced it from over1000 pages to what it is now, 277 pages. Some days I would sit down to do more writing but found no inspiration. During those times, I would read previous chapters or paragraphs and massaged the characters or plot to achieve better clarity or impact. I always worked at it, every day – not because I thought I should, but because I was driven by something I truly can’t explain. Omnific: Where do you find your inspiration to write and your most interesting story ideas? The Guardian’s Wildchild was written following a paranormal event that I experienced one night – time/space travel. The experience was so intense I decided that I needed to write about it, if only for the purpose of getting it out of my head. I thought it might take just a few pages. I often feel the presence of a spirit guide who has been devoted to my spiritual growth since I was a child. As I wrote of the previous evening’s paranormal experience, I would ask questions about how or why the events of my experience took place. Who was the captain? Why was he sad? Why was the woman standing beside him on his ship? On and on, more and more questions. The answers flowed and a story began to take shape. Often, I felt that I was an instrument of a spirit yearning to tell her story. Omnific: If you could sum up your book in just a few sentences what would the main message or theme be? We are mystical and powerful beings capable of giving and receiving both the Light and Dark aspects of the universe. We spend a lot of energy being fearful. Sidney discovered how being fearful weakened her. In facing her fears head on, she became powerful. Her Light gave Sam a beacon to follow when he came to a crossroads. She hoped he would follow the Light. Omnific: The Guardian’s Wildchild is a great paranormal adventure story. What drew you to the magical, mystical side of fiction and served as your inspiration? During my childhood I was fortunate to have a mother who experienced paranormal events. They did not frighten her, but neither did she dwell upon her experiences. To her, this was a normal part of one’s life. My first paranormal experience was meeting my spirit guide. He physically appeared, walking beside me as I walked home from school. At that time, it didn’t occur to me who he was until after I walked into my home and realized the significance of who he was. My life has been a marvelous journey into other dimensions and relationships with spirit guides. I believe that many, probably most people have experienced paranormal events some time during their life but try to rationalize it to fit within the traditional beliefs that would be acceptable to their family and friends. One has only to practice meditation, Reiki, or shamanism to realize that our three dimensional world is an infinitesimally small part of the truth of our being. Omnific: The paranormal genre is a booming in the publishing industry right now, but The Guardian’s Wildchild has not a vampire, werewolf, fairy or angel in sight. Can you tell us about the paranormal forces in your novel? It may sound odd, but I don’t think of vampires and werewolves in the realm of the paranormal. We have seen vampires in the news but they are in the form of terrorists. And, there are occasions when many of us experience extreme, but temporary, personality changes given circumstances that push our buttons into the red zone. We just don’t normally develop excessive facial hair. What I view as paranormal are those events that are beyond our scientists to measure or validate (so far). And, of course, it challenges the doctrine of religions. I have to smile when I think about Sidney’s spirit guide, Seamus. He does not think of himself as an angel – he’s chuckling and shaking his head. The paranormal forces in the Guardian’s Wildchild touch upon aspects of ourselves that we are too afraid to explore – perhaps more afraid than watching a horror movie. It is too foreign and difficult to integrate those experiences into daily life – or so we think. And, to lift your energy as Sidney does into higher dimensions, one might discover that the notion of ‘hell’ is an artificial concept devised by those who long ago decided to maintain a tight rein on the masses. Sidney’s specialty is telekinesis. In our current psychic development, that is considered paranormal. However, if one studies quantum physics, telekinesis is an entirely normal and achievable. The Guardians see everything as energy, connected, and responsive to thought. They ‘know’ their thoughts are energy and powerful. Barriers are destroyed. As a result, the Guardians are able to escape the restrictions of the physical three-dimensional world. Omnific: How does the military, specifically the U.S. Navy, play a part in this battle between Dark and Light? My use of the military as a backdrop for this story was to show that the human race is typically so ready to resort to hostility when confronted with the unknown. We are easily frightened. Even paranoid. These emotions draw the Dark forces to us. We decide to carry a bigger gun. People who carry guns are often drawn into events that are potentially lethal. Guardians who live among those who dwell in the dark are at risk. They surround themselves with a shield of Light that radiates energy from their source – the One Most High. It disarms the angry and frightened – at least as long as they remember the sacred truths. Sidney had trouble remembering this in the beginning. Fear has been a constant companion to the human race, perhaps a left over DNA imprint when we were running from T-Rex. If nations spent as much dollars and time on developing understanding and tolerance as is spent of defense/offense, perhaps we could eliminate hunger and cancer, just to name a few challenges. Omnific: Tell us about the main characters in The Guardian’s Wildchild. The two main characters, Sidney Davenport and Samaru Waterhouse, come from environments which are in stark contrast to each other. Sidney’s Guardian community supported and encouraged her to experience her natural paranormal ‘gifts’. She had distaste for rules and stretched the Guardian’s community rules to the limits. Her zeal for thinking of rules as merely guidelines was part of her desire to explore and slip into other dimensions and manipulate the flow of energy. Her courage was equal to the risks she took. At a very young age, she developed into a very powerful Guardian. Soon, though, she would find that life without rules resulted in chaos and perhaps the loss of the human race. Sam had been influenced by his Japanese mother to meditate which provided a foundation of awareness. As a youth, he was on the path to becoming a Guardian. Even so, the required disciplined life of a naval officer overshadowed the sacred truths. When disaster struck, it was the rigid rules and code of conduct that provided him with a sense of his power over the Dark forces. It wasn’t long before he had to escape from the prison of rules, perhaps at any cost. Omnific: Sam and Sidney, have a hard time admitting or even understanding their attraction to each other. How does their romance help shape the story? Sam and Sidney are both devoted to their ‘community’ – Sidney to the Guardians, and Sam to the security of his country. Sidney was overly focused to protect her people at all costs. This discouraged feelings of trust, which is so essential for love to blossom and flourish. She also had fears of loving since it had caused so much pain when her mother had died. Her physical attraction to Sam was powerful but it conflicted with her sense that he could be a danger to her people (and to her). As she began to appreciate his world of rules and honor, trust took over her heart. She could no longer hold back her passion for him. Sam had become entrenched in his fear and anger. These emotions cannot exist in harmony with romantic love. He was attracted to her courage and honesty. It wasn’t until he was willing to release the Dark forces within him that he discovered his passion, not just the lust, he had for Sidney. Omnific: Did you enjoy writing the truth/fact based elements or the magical paranormal elements best? Or was one more difficult to navigate than the other? What I enjoyed the most was showing how easily the characters made the transitions between the two worlds, the slipping from the physical into other dimensions. It was fun describing the other worlds though I feel the English language lacks the terminology to fully describe what I ‘see’. I hope that I gave the reader enough clues about the higher dimensions that he/she would use their own imagination to expand upon my descriptions and create the beauty and mystery in their mind. The author should allow the reader the opportunity to exercise their creative thought process and build something that is meaningful to them. Writing about the truth/fact based elements can be more challenging. There is more effort required to conduct research, and to ensure the facts are true or plausible. As far as developing the plot and the unique aspects of each character, it seemed to come easy. The story came to me as though an unseen force was dictating it. There were times when my ego would interrupt and flow of visions and determine a different story line. In a few paragraphs, the story came to an abrupt end. The flow of ideas stopped. I obediently went back to where my ego got in the way and deleted the offending paragraphs. The story continued on, moving on without effort. One of my first editors criticized an important aspect of the story – killing off a main character. She had a good point so I was tempted to do a major reconstruction of the story. However, my gut resisted hitting the delete key. I went for a walk, which always helped in finding my center, my source of inspiration. As I had already spent several years working on the Guardian’s Wildchild, the characters had become a part of my reality, actual beings of the spirit world. I asked Sidney and Sam, who walked along with me, what their opinion was. They were happy with it as it was. No changes were made. Omnific: In addition to being paranormal, The Guardian’s Wildchild is also set in the future. When you were creating this futuristic world, did you find that you take a cautionary or a hopeful approach? Or maybe a little of both? The more we attempt to keep the status quo, delay moving away from the Dark forces, the less likely we will survive. As long as the governments remain entrenched in fear and hostility, and greed, the more dismal the outlook is for the general population of this planet. In the story, the governments had to initiate Martial Law to maintain law and order after the global disaster of 2020. However, they enjoyed having that much power over their people and were reluctant to give it up 20 years later. People began rebelling, creating underground movements and havoc. The leaders lost touch with the very people they were responsible for/to. This kind of environment fosters anger and fear, creating creatures like Madame and Butchart, the fallen Guardian. Instead of focusing on the future, governments and the general population are too occupied dealing with the troubles of the present. A dark future is in store for humanity in spite of attempts of the Guardian Elders to wake up the sleeping Guardians. Omnific: Many established authors have said that reading books is the best research you can do when you want to become a writer. What are your favorite books and authors? Do you have a favorite genre? I don’t have a favorite genre, although I prefer to read romance novels when on a holiday. I love any genre that has a good plot and interesting characters. When looking for a book, I check out the summary page, and then randomly select a page within the book to read. If it grabs me within a few paragraphs, I buy it. As a result, I find that I have to spend about an hour in the bookstore finding a book that will interest me. Omnific: What is your best advice for aspiring writers? When I first realized that I was actually writing a novel (about two months into the writing), I decided that I needed to take some courses. Over the next year I participated in writing courses at our University of Alberta. The instructors gave me valuable insights into what makes a novel great. Until then, I had avoided delving into the dark aspects of the story. One of my instructors forced me to write a very dark and disturbing short story. It was actually more fun that I had thought it would be – and nothing bad happened to me because of my consorting with evil. My other advice would be to not worry if the first word or line that hits the page is perfect. Get whatever you’re thinking or feeling onto the page. You will go back often and tweak every word later. Some of your creations will be perfect the first time around. Some will be truly magical. Then others will require changes, or deleted. My final advice is to trust your gut. Something, maybe someone, some spirit will guide you. There is a grand creative force within all human beings. Let it flow. Set your ego aside, and when you feel the joy, you will perform magic. 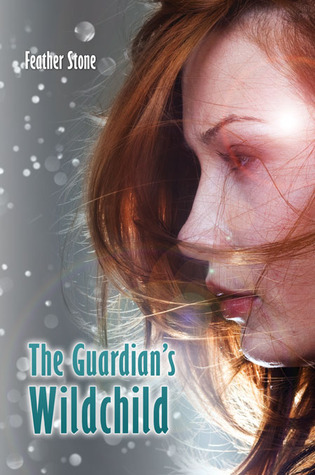 For more information about The Guardian’s Wildchild, visit Feather’s blog.